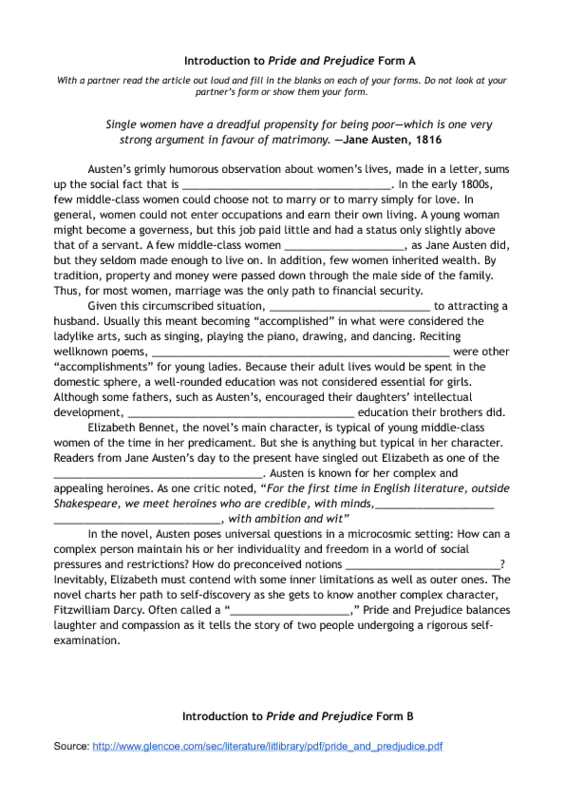 This is an explanation of "Pride and Prejudice" taken from The Glencoe Literature Library. Form A has blanks where Form B has text and vice versa. Students have to work in pairs, reading out loud in order to complete the text. Students may not look at their partner's paper, and if you want to make it competitive the first group to complete both forms wins. 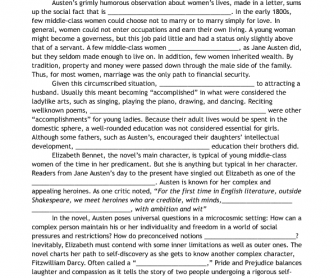 I used activity this for a high school ESL class as part of the introduction to our literature book.